Home is where the heart is. But getting a breath of fresh air your home this time of year may not be as effortless as it sounds. Following the colder months of winter, when our doors are fastened tight and our windows are sealed shut, the air quality in our homes can feel stuffy and stagnant, making for a less comfortable (not to mention even a less healthy) living environment for you and your family. Compounding the stagnation of winter are the chemicals we inhale from our carpets, draperies, furniture, paints, fabrics, and other items in our homes that collect dust, dirt, and mildew. Springtime, though—with its warm, sunny days that beckon us to let the sunshine in and bring the outdoors indoors—is the most opportune season to renew and re-energize the air inside your home. Follow these tips, and you’ll breathing easier in no time! Clean your vents: Dusting and cleaning out your vents will eliminate the dirt and debris that accumulates inside them and is then distributed in the air that circulates around your home. Cleaner vents will also reduce any allergy and asthma issues your family members may suffer from. You can do this yourself or you can hire a professional duct cleaner to do the cleaning. Dust and vacuum: Thoroughly dust all surfaces in your home, including windowsills, window treatments, baseboards, ceilings, and ceiling fans. Don’t forget to dust off any household plants and their leaves, which collect a buildup of dust and dirt. Take advantage of your vacuum’s brush attachments to allow you to access those hard-to-reach places where dust accumulates. Clean bedding and blankets: Laundering and airing out bedding is another important step to take, especially for people with allergies and asthma. Sheets should be washed weekly, and blankets and pet bedding should be washed regularly as well. 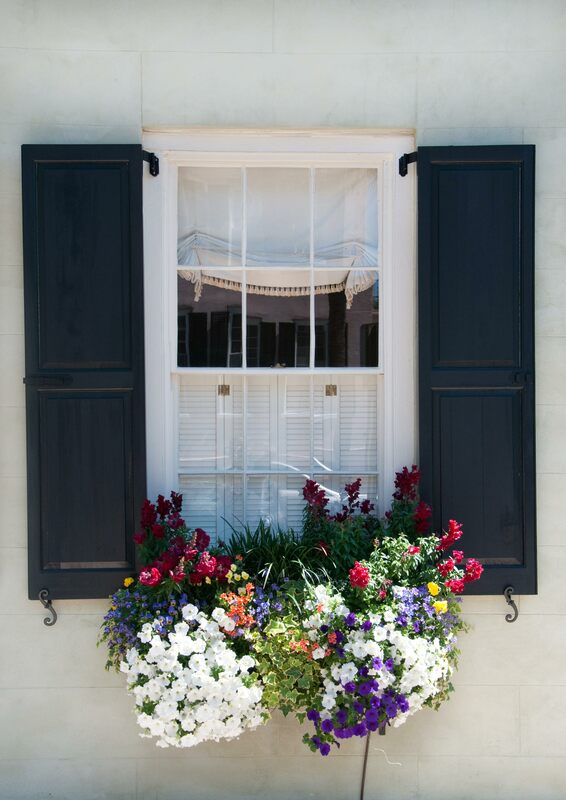 Open the windows: Opening windows on all available sides of your home will let a breeze blow in to clear out the stagnant air. You can even leave the windows open all night (if your allergies can handle it) to awaken to crisper, fresher-smelling air throughout your home! 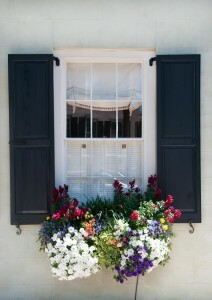 Home Services Enterprise can swoop in today to help bring the freshness of spring into your home. To schedule a cleaning, call us today at 301-674-9564 or visit our website: www.homeservicesenterprise.com. This entry was posted in Allergies, Clean Views on April 1, 2019 by HSE. Everyone’s life is so busy these days, making finding the time to get to household chores more difficult and stressful than ever. How long is your to-do list every day? How are you supposed to regularly attend to cleaning and household tasks amid all your other obligations, like your work schedule, family responsibilities, school activities, and more? Well, with Home Services Enterprise, you can pick and choose the services you need on a daily, weekly, or monthly basis. We offer a menu of special services that allows you to customize your own cleaning list and concentrate on the areas of your home or office that require the most attention. This frees up your own time so you can relax and enjoy life more! With the convenience of a fully customized cleaning service tailored to your needs and your schedule, you can book appointments for your home or office starting in increments as little as one hour. What better way to quickly and affordably reduce your stress and make your life a little easier? Call today to schedule an appointment: 301-674-9564. This entry was posted in Clean Views, Organization on February 28, 2019 by HSE. Celebrate National Kitchen & Bath Month by Fixing Things Up! Many people tend to put off home renovations, specifically in their kitchen and bathrooms, due to the inconvenience – after all, these rooms have the heaviest traffic in your home! The month of October is traditionally the most popular month for home renovations and may very well be the best time to tackle those renovations you have been avoiding. Most real estate experts agree that renovating your home, especially the kitchen and bath areas, will greatly increase the value of your home… especially for resale. Any enhancements that you make in your home will be an added convenience for you and your family to enjoy. And better yet, it will increase your home’s value at the same time! If you are a homeowner and you are planning on staying in your home long term, creating the ideal kitchen and bath situation is one of the advantages you and your family will be comfortable in and enjoy for many years to come. Whether it’s adding new cabinets or an island in the kitchen or an updated shower in the bath, any enhancements made will be worth the time and inconvenience, while adding value to your home. 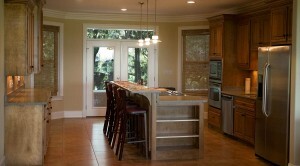 If you are planning to move, updated kitchen and bathrooms are two things potential buyers are typically looking for. Whether its new appliances or up-to-date technology, any improvements will appeal to the new home buyer. Not only will you feel proud to show off your newly renovated features, but you will also most likely receive a return on investment with a top dollar sale for your home. We at Home Services Enterprise can assist with any organizing and cleaning of your home, before, during and after any renovations. To schedule a visit, call us today: 301-674-9564. This entry was posted in Clean Views on October 11, 2018 by HSE. Whether for home or office, the possibilities seem endless for storage solutions for getting rooms organized. By now, your spring cleaning is well underway and you have cleared out some unwanted items in your rooms. The best way to determine how to store the items you are keeping is to focus on the room and its specific function. Will the room be a private retreat room, like a bedroom, or will it be used for family and friends, like the kitchen or family room? In an existing home, getting creative with the space you already have is the best solution. Shopping for storage items can be daunting because you will encounter endless aisles of containers, both large and small. 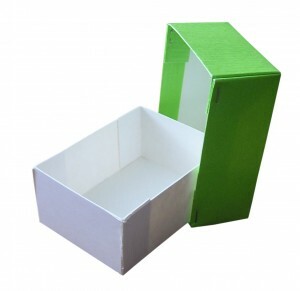 All sorts of containers and storage ideas are available and can solve most storage problems. Choose the right furnishings – When deciding on furniture for a room, take into consideration the unused space in the room so that it does not become overcrowded with too much furniture. Not only will the room feel closed in and cramped but can also become a safety hazard for children with too many things scattered about. You might settle on foot rests, stools, and coffee tables with built-in drawers that pull out for extra storage. Cabinets and tables with lots of drawer space also work well for storing items. Use all areas wisely – Bedrooms tend to accumulate most of our possessions, and therefore have the biggest shortages in space. Tap into the space underneath the bed by using long storage containers for clothing and other items, especially if your closet space is limited. Using storage bins in your closet will help keep shoes, handbags, belts, and any other accessories organized so they are not cluttering the floors of the closet. Multi-functional pieces – In the kitchen area, using storage bins underneath the kitchen island will keep cooking items organized. Using kitchen drawers for all kinds of items, such as cookbooks, platters, cookie sheets, and more can help conceal some of the larger cookware items. Getting creative with existing space and making the best use of what space you do have will give you functionality and tidiness in your home. This entry was posted in Clean Views, Organization on May 3, 2018 by HSE. Freshen Up Your Environment – Spring is in the Air! As the spring season comes, it invites changes to your home with fresh spring decorating – changing up your decorating will brighten up your environment and lift your spirits. Spring often calls for delicate colors, fresh florals and soft fabrics. Of course, everyone’s taste is different, so always do what works for you. The great thing about these updates is that decorating your home can coincide with your spring cleaning. This is the perfect time of year to decorate because you are probably already in the process of spring cleaning your home, reorganizing it, and hopefully getting rid of some of the clutter. Starting with a fresh clean living area, you can begin to imagine the possibilities! Freshen up your rooms with a new coat of paint. Introduce colors from the outdoors such as blues, greens, and neutral colors – bringing “mother nature” indoors. An easy, inexpensive way to give a room a new look is to add a splash of color with some colorful, patterned pillows and throws. Also, adding some sheer draperies or blinds to the windows will make the rooms appear light and airy. 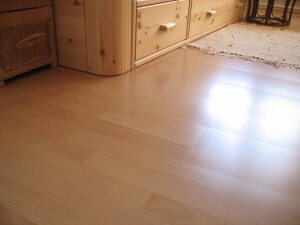 A clean floor is a good base for a well decorated room. Schedule a professional cleaning for your hardwood and tile floors, and have your carpets professionally steam cleaned. This will freshen up the room, while adding some new area rugs with spring colors will give the rooms an updated look. A quick and easy way to decorate and freshen up your bedroom is to add a new comforter or duvet cover in a nice, neutral color. Include some complimenting pillows for a nice touch. 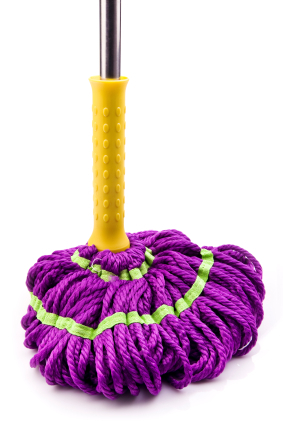 Don’t forget to schedule your spring cleaning first with your professional cleaning company. They will come in, reorganize, and de-clutter your rooms for you. Starting with a clean and spacious living area will allow you to add to your existing décor or start over with new and exciting ideas. This entry was posted in Clean Views, Organization on April 5, 2018 by HSE. If you are one of the many professionals in the Rockville area juggling a career while maintaining a home, you know how difficult it can be to get things done around the house. All too often our weekends are filled to the brim with errands, kid’s activities, and playing catch-up on various things. Organize closets and get them decluttered by getting rid of any clothing, shoes, or accessories that you won’t be using anymore. Fill up bags with any unused items and donate to shelters or charities. This will make room for anything new you will be purchasing for the next season and will help keep your closets looking neat and organized. Giving the bathrooms a deep clean and a thorough disinfecting makes a huge difference. Scrubbing tubs and tiles will keep the bathrooms fresher and cleaner for longer periods of time. Once this is done, you can do maintenance with cleaning cloths during your quick clean-ups. Give floors a good cleaning by moving furniture to one side of the room to clean underneath. 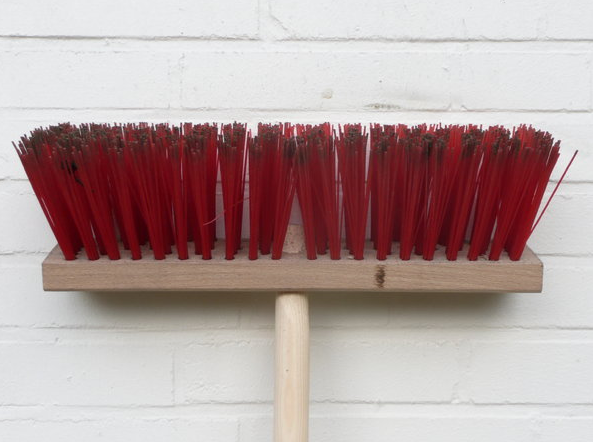 This will keep the floors looking shiny and dust free. These areas are usually overlooked during routine cleaning and doing this once a season is usually all that’s necessary. Having your carpets, draperies, and upholstery professionally steam cleaned after the winter season will keep your rooms looking and feeling fresh. Hiring a professional will ensure that the accumulated dirt and dust will be removed thoroughly. This entry was posted in Clean Views, Organization on February 8, 2018 by HSE. How Ready Are You for the Holidays? The answer to this question just might be, “We are as ready as we will ever be.” In other words, whatever doesn’t get done, hopefully no one but you will notice. And the truth is, that’s perfect! Who will notice if we didn’t get the garland up by the staircase, the second tree in the living room, or even the extra gift for Uncle Joe? Chances are, nobody will ever notice these things… so why stress about them? The truth is, not stressing about every little thing is sometimes easier said than done. Many of us tend to fall into the “perfectionist” category. This is the main reason we become so overwhelmed and frazzled by the holidays. We are too busy trying to decorate the perfect tree, buy the perfect present, or cook the best turkey with stuffing that we forget to enjoy the process. Go out shopping with your friends to buy presents, have your children help decorate the tree while sipping hot cocoa, and throw the turkey in the oven. 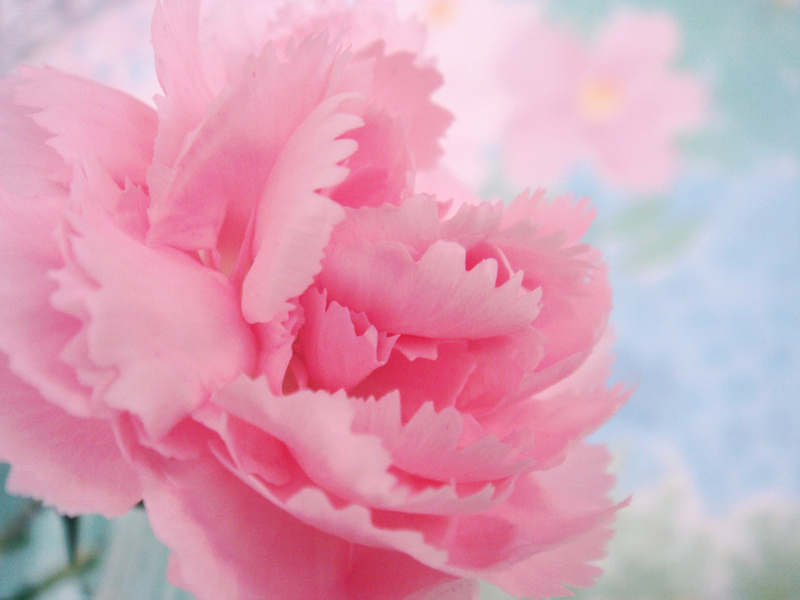 It will all turn out fine, regardless of how much time we spent on everything. Clean Out the Fridge: Go through your refrigerator and throw out anything over a week old to make room for desserts, trays your guests may bring, and of course… the leftovers! Clear the countertops: Make some room for platters of cookies, festive floral arrangements, and to display your holiday cards. Freshen up the Powder Room: Spruce things up with decorative soaps and scented candles for holiday aroma and ambiance. Stock up the pantry: Have your favorite holiday spices, candied yams, and cranberry sauce on hand. It’s also a good idea to set aside a pile to donate to a food drive or local soup kitchen. Clean the Chimney: Have a chimney cleaning service professionally clean the chimney so you can enjoy warm fires around the fireplace with your family and friends. Shine the Silverware: Shine and polish your silver and wash the good china so your holiday table will sparkle! Remember, don’t worry about making it all perfect; do what you can and then surrender to the flow of the holidays. Chances are, you will have much more fun in the process! 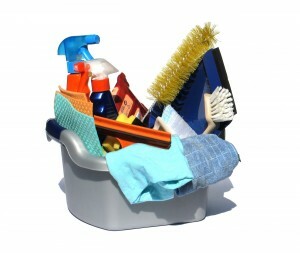 For more household tips or to schedule a cleaning, please visit our website at: www.homeservicesenterprise.com. This entry was posted in Clean Views on December 10, 2017 by HSE. Allergy season can be tough, and people try all kinds of things to keep their allergies to a minimum, from taking medicine to staying inside. Unfortunately, staying inside your home during allergy season will not necessarily limit your exposure to allergens. All types of allergens, such as dust, mold, mildew, and pet dander can be a bothersome issue inside your home year-round. Whether you or your family members have indoor allergies, outdoor allergies, or no allergies, everyone will benefit from having all of the indoor vents and air ducts cleaned. There are air vents and ducts in every room in our households, but we sometimes forget about them and often overlook cleaning them. They tend to attract all kinds of household debris that is neatly hidden behind a cover, including allergens such as dust, mold, and mildew – and even pet dander. If you do see any sort of visible mold, mildew, or dust on any of your air vents, ducts, or even overhead fans throughout your home, it is strongly recommended that you remove all mildew and dust to prevent allergens from entering the air you breathe. Alternatively, you can have Home Services Enterprise come in and professionally clean for you. Having your air ducts cleaned may also require an air conditioning and heating service technician to come into your home and professionally clean out the air ducts for you. Keeping the all of the vents in your home clean is crucial for reducing allergens in the air that you breathe each and every day. If you or any of your family members suffer from any type of allergies, keeping your home dust-free is an important step in maintaining a healthy, symptom-free lifestyle. This entry was posted in Allergies, Clean Views on June 5, 2017 by HSE.